Can You Name More Than 12/15 Of These French Foods? France is a tourist hotspot, mainly for its wonderful sights and sounds, and obviously, its incredible array of authentic food. French cuisine has earned a reputation for using the finest ingredients to create dishes suitable for both a comfort meal or a luxurious one. If you’re ever in the country, here are some must-try items! Many may be afraid to taste foie gras after learning what it actually is – duck or goose liver. However, the luxury ingredient makes for a great appetizer, especially when eaten on a piece of brioche. The hesitation you feel for this delicacy is probably the same for eating escargot, or snails. Yes, the local dish may seem daunting, but when cooked in a butter parsley cream, it is something you have to try at least once! In this quiz, you need to identify some common French foods just based on a picture! Try to pick out the correct name of the dish to see how much you know about French cuisine. Can you name more than 12 correctly? What is the name of this stewed dish? What is the name of this potato dish? What is the name of this cheesy dish? What is the name of this unique dish? What is the name of this hearty dish? What is the name of this sweet treat? What is the name of this interesting dish? What is the name of this dessert? What is the name of this sliced dish? What is the name of this luxurious dish? What is the name of this delicacy? What is the name of this seafood dish? What is the name of this salad? 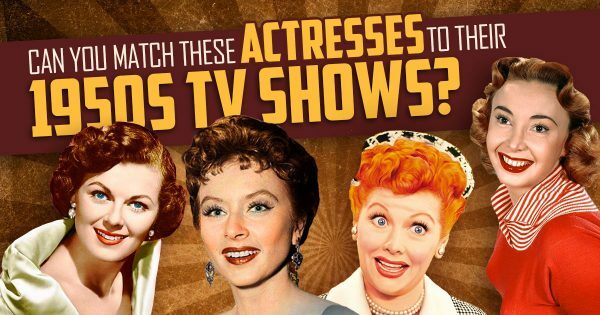 Can You Match These Actresses To Their 1950s TV Shows?